EDMONTON, ALBERTA—November 15, 2018—Epic Investment Services and Epic Realty Partners (Alberta) Inc. (collectively known as “Epic”) are pleased to announce that Alberta Investment Management Corporation (“AIMCo”) will be the lead tenant at HSBC Place, set to be Edmonton’s newest “AA” class office building. The 317,000-square-foot office tower is currently undergoing a complete exterior and interior redevelopment. Once completed, the new building will include a triple-glazed curtain wall system, floor-to-ceiling view glass in the office area, new mechanical and electrical systems and a revitalized two-storey lobby. 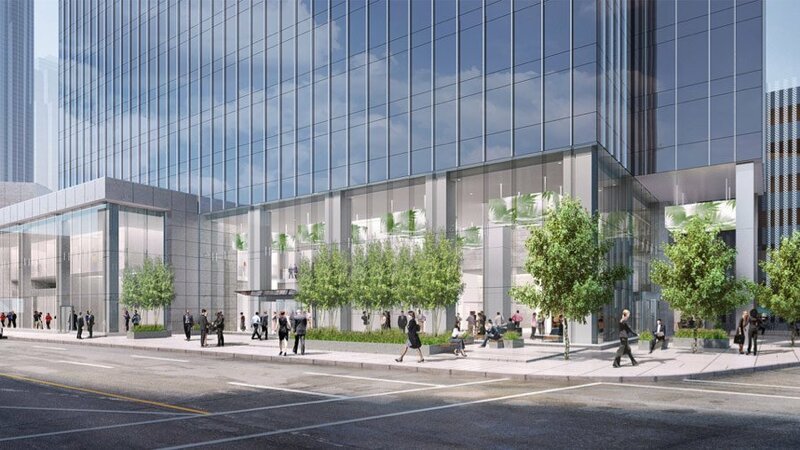 HSBC Place is targeting LEED Gold certification and WELL Gold certification with its redevelopment, and it is the first commercial property to pursue Wired certification in Edmonton. The building will also serve as the centre point of the evolving downtown core, connecting the traditional financial district to the new ICE District. AIMCo acquired HSBC Place in February 2017 on behalf of its clients. By moving into HSBC Place, AIMCo demonstrates its belief in its own investment in the redevelopment, as well as to the ongoing growth and improvement of the downtown core. As one of Edmonton’s more prominent office tenants, AIMCo will add to the modern, innovative environment that the new HSBC Place will feature. AIMCo will begin to move its headquarters to HSBC Place by late 2019, when the redevelopment is set to be completed. Epic Investment Services is an employee-owned real estate advisory, asset and property management and mortgage services company. Operating from offices in Toronto, Montreal, Ottawa, Calgary, Edmonton and Vancouver, Epic has over $14.2 billion in assets under management. Our national portfolio includes office, retail, industrial and multi-family properties, and it comprises over 26 million square feet of leasable commercial space.